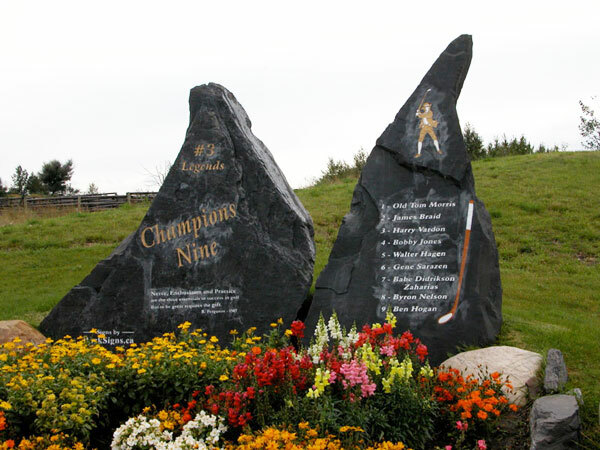 Each hole on the Champions Nine at the Legends Golf and Country Club is named after a golf champion. Read a brief biography of each champion below. 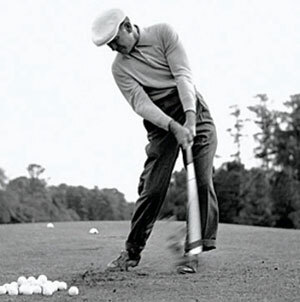 Ben Hogan, an American golfer, was one of the greatest players in the history of the sport. Hogan won more than 60 tournaments, including the United States Open four times, the Professional Golfers’ Association (PGA) tournament twice, the Masters twice, and the British Open once. In 1949, a bus struck the car Hogan was driving. The collision fractured his left collarbone, left ankle, pelvis, and a rib. Hogan barely survived the injuries. Doctors feared he might not be able to walk again, much less play golf. Yet, just 17 months after the accident, Hogan won the 1950 US Open. He played the tournament with his legs wrapped in bandages. 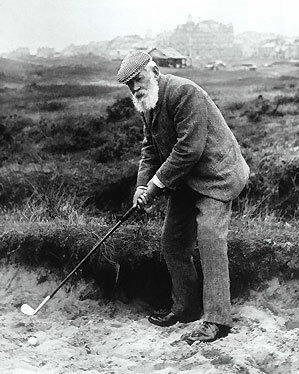 Hogan was one of the smallest golf champions, weighing only 135 pounds (61kg). Hogan, through his own diligence, became the finest shotmaker ever in the game and one of just five men (Gene Sarazen, Jack Nicklaus, Gary Player, and Tiger Woods are the others) who achieved a career grand slam of at least one victory in each of the four modern major championships: the Masters, US Open, British Open, and PGA Championship. He was the hardest working player in the game during a career that earned 63 victories on the PGA Tour, third-best in tour history, and nine major championships, fourth-best behind Nicklaus, Bobby Jones, and Walter Hagen. He also was probably the least-known star in sport because of a stern, no-nonsense exterior that intimidated outsiders. Because he was reluctant to leave his Fort Worth, Texas home after he retired, he was seldom seen the last 30 years of his life. Born in Texas, Nelson is remembered as one of the most consistent golfers of all time. Nelson’s is a remarkable story. He grew up close to Ben Hogan and both men caddied at the same golf club. 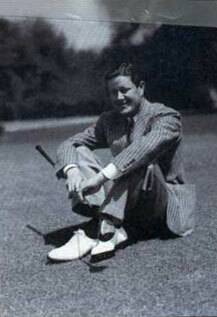 Although Nelson turned professional in 1932, it would be five years before he won his first major, the US Masters. During the 1940s, he played in 133 tournaments and was in the money list in every one of them. At that time that meant the top 10. He had 11 consecutive wins in 1945 and won the PGA Championship. He was also that year’s leading money earner. According to Ben Crenshaw, “Byron’s 11 straight victories will never be matched.” The story goes that his wife suggested that he play golf in order to raise money to buy their own ranch rather than touch their savings. Nelson achieved that goal in 1946 and he retired at age 34 to become a farmer in his native Texas. On the short list of records that may never be broken, Nelson owns two. In 1945, he won 18 of 30 tournaments he played, including 11 in a row, in a torrid season no one has seriously approached since. He averaged 68.33 strokes per round that year, an average that never has been bettered. Mildred Ella Didrikson was born in Port Arthur, Texas. She was nicknamed Babe after baseball slugger Babe Ruth because of the many home runs she hit playing baseball as a child. Babe Didrikson Zaharias is generally considered the greatest female athlete in sports history. She gained her most enduring fame in golf and track and field, but she also competed in basketball, baseball, pocket billiards, tennis, diving, and swimming. At the 1932 Olympic Games, she set world records in the 80-meter hurdles, the javelin throw, and the high jump. 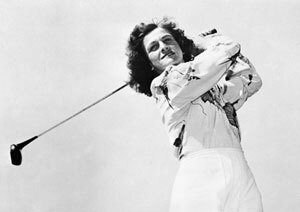 Didrikson began concentrating on golf in the early 1930s. Her style of play dramatically changed women’s golf. Her powerful swing, low scores, and showmanship attracted many new fans to women’s golf. Didrikson won the US Women’s Amateur tournament in 1946. In 1946 and 1947, she won 17 tournaments in a row, including the 1947 British Women’s Amateur tournament. She was one of the founders of the Ladies Professional Golf Association (LPGA). She won the US Women’s Open in 1948, 1950, and 1954. 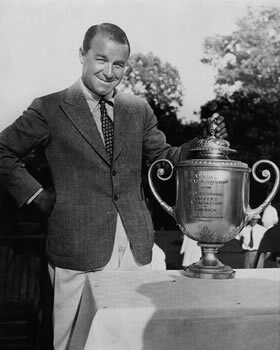 Gene Sarazen was the first golfer to win all four modern-day majors—the Masters, US Open, British Open and PGA Championship—and was one of the youngest winners of a major, taking the US Open in 1922 at age 20. A championship career that spanned more than 50 years produced seven major titles in all and one of the most famous shots in the history of the game: a double eagle on the 15th hole at Augusta National Golf Club in the final round of the 1935 Masters. It got him into a 36-hole playoff that he won the next day. Sarazen also earned the lasting gratitude of golfers everywhere by inventing the sand wedge in 1931. Generally regarded as the greatest match player ever, “The Haig” won five PGA Championships at match play, four in a row from 1924-1927 with a string of 22 consecutive match-play victories. He also won most of the challenge matches he played against the top players of his day, including a 12 and 11 defeat of Bobby Jones in a 72-hole match in 1926. 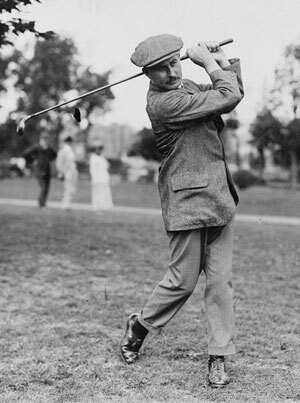 Hagen also won the British Open four times and the US Open twice from 1914 to 1929. After his second US Open victory in 1919, he became the world’s first full-time tournament professional and was the first to earn more than $1 million playing the game. Because of his spirit for the game and lavish lifestyle, he is credited with doing more than anyone else to raise the societal status of the golf professional. Walter Hagen was a great golfer and the player most responsible for elevating professional golf into a major sport. Hagen’s insistence on first-class treatment at tournaments raised the stature of professional golfers during a time when amateur players dominated the game. His popularity greatly contributed to making golf a spectator sport. Hagen’s skill as a player combined with his showmanship and colourful lifestyle made him golf’s first celebrity. Hagen sometimes arrived for a match in a chauffeur-driven limousine and wearing a tuxedo. He was the first golfer to earn more than a million dollars in tournaments and exhibitions and the first player to market golf equipment bearing his name. Walter Charles Hagen was born in Rochester, New York. Between 1914 and 1929, he won 11 major tournaments. 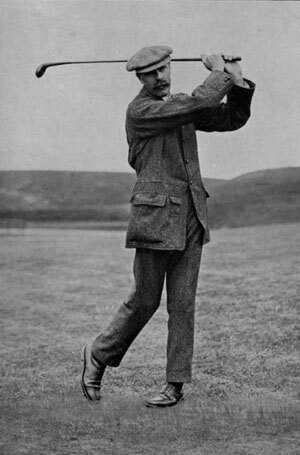 He won the United States Open in 1914 and 1919; the British Open in 1922, 1924, 1928, and 1929; and the Professional Golfers’ Association (PGA) tournament in 1921, 1924, 1925, 1926, and 1927. 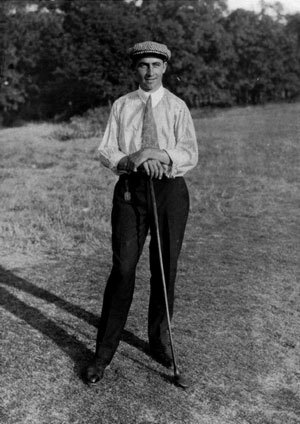 Bobby Jones, born in Atlanta, Georgia, was one of the greatest players in the history of the sport. In 1930, Jones became the only player ever to win the United States Open, the British Open, the United States Amateur, and the British Amateur tournaments in one year. These were the world’s four major golf events at that time. After completing this “Grand Slam” Jones retired from tournament play at the age of 28. 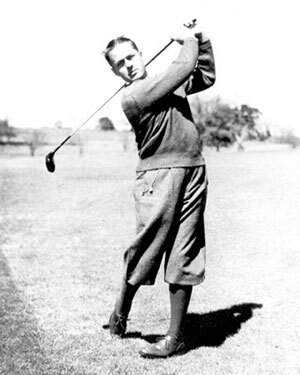 Between 1923 and 1930, Jones won 13 major titles. In addition to his Grand Slam, he won the US Open in 1923, 1926, and 1929; the British Open in 1926 and 1927; and the US Amateur in 1924, 1925, 1927, and 1928. Bobby Jones was well known for his sense of humor. On being told it was more than 100 degrees in the shade, he replied, “Well, I’m glad we don’t have to play in the shade.” His full name was Robert Tyre Jones, Jr. After his retirement, Jones and banker Clifford Roberts founded the Augusta National Golf Club in Augusta, Georgia. In 1934, Jones and Roberts established an annual tournament for the course: the Masters.